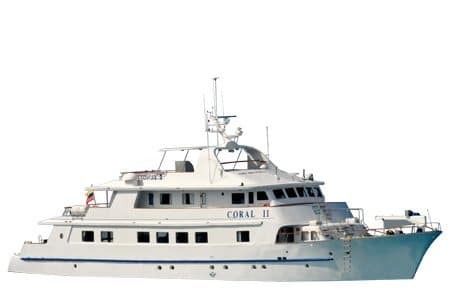 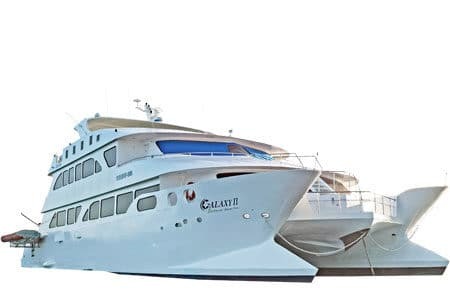 Named after the Virgin of Montserrat, patroness of Catalonia in Spain, the Monserrat Galapagos Yacht is a modern and comfortable cruise that accommodates up to 16 passengers in its comfortable double and twin cabins. 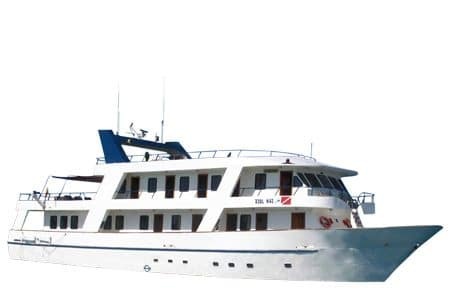 On board facilities feature air conditioned rooms with private bathrooms & hot showers for all cabins, comfortable and spacious interiors with tile wooden floors, bar, sundecks and much more! 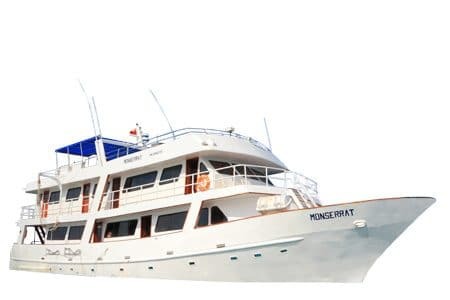 With a variation of visit points covered in their loops while cruising the islands, the Monserrat aims to create the perfect setting for an unforgettable experience on the enchanted islands, a cruise definitely worth considering. 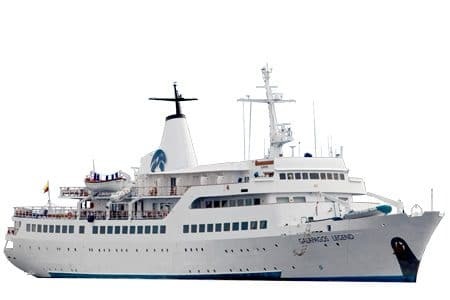 A comfortable and affordable cruise that offers you a great way of getting to know the islands in style. 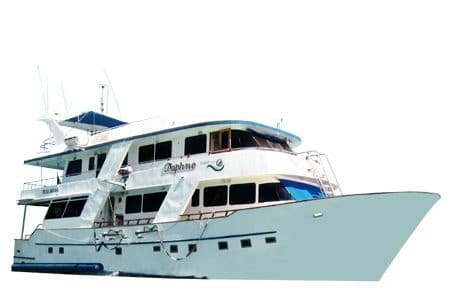 The Aida Maria Galapagos Yacht offers capacity for 16 passengers in 8 double cabins. 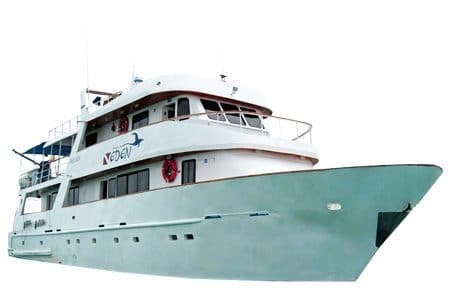 Sister to the Eden yacht, they both offer spacious interiors, and exterior lounges to enjoy the sun and the islands scenic views. 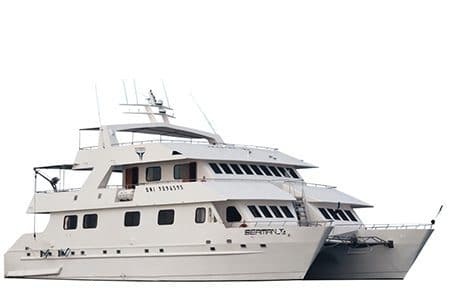 Extensive itineraries covering the farthest points of the islands including Genovesa and Fernandina, along with the more common islands found in the south loop provide flexibility and variety to their programs. 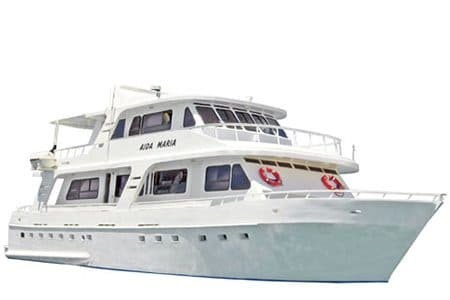 For those looking for an efficient Motor Yacht in our Superior Category that provides great value for your money, the Aida Maria is a perfect fit.